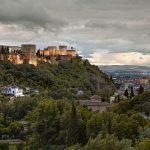 Alhambra is the only palatine city from the islamic period that we have in Spain. Visit this monument with BeTogether Tours, enjoy this amazing experience with us ! 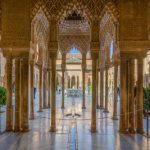 You can do this tour with or without Alhambra tickets, because we visit first all the different parts of this complex that can be accessed without a ticket, and there are many ! Come with us to discover all its secrets ! Our guided tours are cheaper than others because you buy the Alhambra tickets directly, therefore you can save up on commissions. Get your tickets and your official guide, do you want to know how ? Enjoy the tour and write a review online ! Remindb that children under 12 go free on all our tours! What is included in my guided tour for €25? What if I cannot get a ticket? Find your guides wearing yellow with yellow umbrellas!